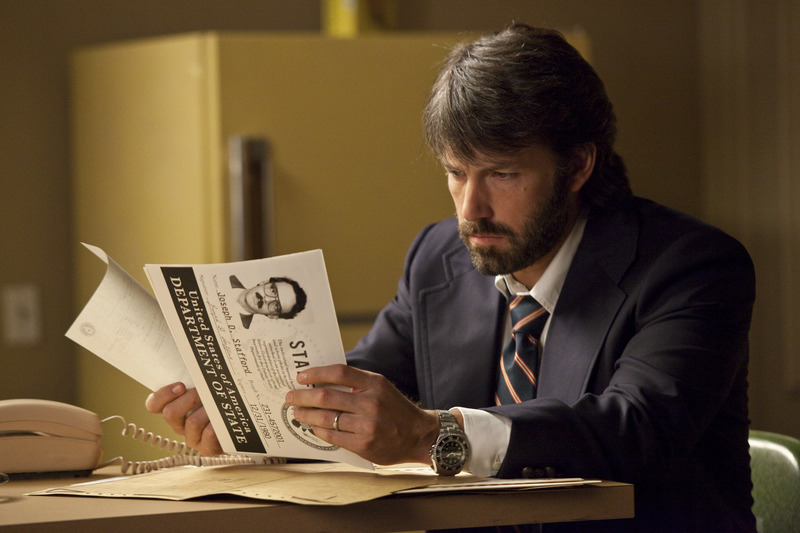 Ben Affleck, who directed “Argo,” also stars in the film as real-life CIA specialist Tony Mendez. This week’s home video releases include a 3D update of a classic adventure film and a drama that’s at the heart of this year’s Oscar race. As we inch toward the Feb. 24 Academy Awards ceremony, the likelihood of “Argo” winning best picture looks increasingly high. The movie has already landed numerous pre-Oscar awards, including top honors at the Golden Globes, Critics’ Choice Awards, Director’s Guild Awards and Producer’s Guild Awards. This is one case where the hype is deserved because the movie, directed by its star, Ben Affleck, is a remarkable real-life drama. Set during the 1979 Iran hostage crisis, the picture focuses on six American diplomats who escape a siege of the U.S. embassy in Iran only to find themselves trapped in the hostile country. Realizing the refugees are in danger, U.S. officials authorize an improbable rescue helmed by CIA specialist Tony Mendez (Ben Affleck). The plan involves Mendez posing as a Canadian filmmaker who attempts to smuggle the Americans out as members of his crew. Affleck made his name as a writer and actor, but his first two films as director – “Gone Baby Gone” and “The Town” – were astonishingly good, and “Argo” should cement his reputation as an all-around great. With “Argo,” Affleck is terrific in the lead role, but his behind-the-camera work is even better. In particular, he deserves credit for instilling “Argo” with a deep sense of suspense despite a necessarily talky screenplay. Considering the complexity of the subject matter, it would have been easy for “Argo” to bog down in details or – even worse – alienate viewers with no memory of the historical events. Affleck avoids both pitfalls, providing plenty of historical detail while maintaining a brisk and exciting pace. He also uses his actors well. Outings from Alan Arkin, John Goodman, Victor Garber and a host of lesser-known talents augment Affleck’s performance; and the group works well as an ensemble. The final product is a thrilling movie with a plot so unlikely it seems the invention of a Hollywood screenwriter. Ironically, the most improbable elements are the ones borrowed from reality. DVD and Blu-ray extras include a feature centered on the historical events that inspired the film. The best horror movies are about more than blood and guts, and writer-director Scott Derrickson’s “Sinister” offers a fascinating meditation on vanity and greed while providing plenty of chills. Derrickson achieves this mix by focusing on Ellison Oswalt (Ethan Hawke), a true-crime writer desperate to reclaim the fame and glory that his first book earned him. Despite the fact that his wife (Juliet Rylance) wants nothing more than a normal life with their two children, Ellison moves the family to the site of a quadruple homicide. Even worse, he doesn’t tell her what happened there. As Ellison sets up his office, he discovers a box of home movies containing footage of the murders that occurred on his new property. He also finds footage from other horrific killings, and it becomes apparent that they are related. At first, Ellison considers turning the movies over the police, but he decides that his book will be more powerful if he keeps the evidence to himself. So, he quietly dissects the material, becoming more and more unnerved as time passes. Ellison also begins to hear noises and sense strange things happening in the home. This, along with the secrets he’s hiding, make him increasingly paranoid, and he begins to drink heavily. Still, he steadfastly refuses to leave the home, despite his wife’s requests. For a long time, “Sinister” leaves viewers wondering whether the murders Ellison is investigating are the work of a standard-order serial killer or supernatural forces, and this lingering question adds to the movie’s generally creepy atmosphere. Unfortunately, the climax is predictable, making “Sinister” less effective than it might have been. Still, the film is unsettling both because of its disturbing subject matter and the verve with which Hawke sells the material. The movie also gets points for its focus on universal moral issues. Although Derrickson uses murder as his hook, it seems that he really wants his audience thinking about the price of egotism and unchecked ambition. DVD and Blu-ray extras include deleted scenes, two making-of featurettes and two audio commentaries. As 3D technology becomes increasingly ubiquitous, filmmakers are not only releasing new movies in multiple dimensions, they are reworking old favorites. The latest picture to receive a 3D upgrade is “Top Gun,” the 1986 drama about Navy fighter pilots training for air combat. As a rule, movies filmed using 2D technology, aren’t particularly engaging once converted, but “Top Gun” truly benefits from the added depth. Directed by the recently deceased Tony Scott (“Unstoppable,” “True Romance”), the film stars Tom Cruise as Pete “Maverick” Mitchell, an arrogant pilot struggling to overcome his father’s soiled military reputation and his own propensity for rule-breaking. Because of his innate skill, Mitchell and his flight officer, Nick “Goose” Bradshaw (Anthony Edwards), earn a spot at the Top Gun school, where they train and compete with the best pilots in the Navy. “Top Gun” follows their exploits both in and out of their aircraft, and the simplistic story holds up relatively well even a quarter century after the film’s original release. The visuals look great on Blu-ray 3D, and the extra-dimensional effects are incorporated throughout the movie. They are, however, at their best during action sequences. The most notable downside to “Top Gun” is that it’s obviously a product of its era. Unlike the best classic movies, everything from the music to the melodramatic dialogue emphasizes the film’s 1980s roots. For newcomers, that may be distracting, but for longtime fans the nostalgia should be part of the charm. Extras on the new “Top Gun” combo pack include multi-angle storyboards, music videos for several soundtrack songs, numerous making-of featurettes and an audio commentary featuring Scott, producer Jerry Bruckheimer and co-screenwriter Jack Epps Jr. The Nickelodeon-produced teen drama tells the story of a fun-loving high school girl named Wren (Victoria Justice) who gets invited to a Halloween party by the school stud. Just when she thinks her social life is set, Wren’s self-centered mother (Chelsea Handler) forces her to babysit her rambunctious little brother, Albert (Jackson Nicoll). When Albert disappears while trick or treating, a panicked Wren convinces her best friend April (Jane Levy) and two socially awkward guys, Roosevelt (Thomas Mann) and Peng (Osric Chau), to help her find him. The result is an adventurous night that teaches everyone a thing or two about friendship and perceived social status. “Fun Size” is infinitely predictable, and numerous teen movies have covered the same material. Still, it’s a lot of fun, in large part due to the cast. Justice and Mann are charismatic, and the supporting players do a reasonable job creating goofy archetypes. Despite being produced by Nickelodeon, the movie received a PG-13 rating thanks to mild adult language and fleeting references to sexuality. Because of this, “Fun Size” is not appropriate for everyone who is likely to see the commercials on the Nick TV network. “Anna Karenina”: Director Joe Wright’s film adaptation of the beloved Leo Tolstoy novel about a married Russian socialite (Keira Knightley) who has an affair with a wealthy count (Aaron Taylor-Johnson). The film received an Oscar nomination for its score, plus three nominations in technical categories: cinematography, costume design and production design. Jude Law also stars. “Game of Thrones” – The Complete Second Season: The first season of this HBO drama was a massive hit when released on home video. Now, fans can dip into the next 10 episodes of the Emmy Award-winning series. The plot, which is based on the fantasy novels of George R.R. Martin, centers on a power struggle between seven noble families. Peter Dinklage, Lena Headey, Emilia Clarke and Jack Gleeson star. “Battlestar Galactica – Blood & Chrome”: Feature-length prequel to the 2004 “Battlestar Galactica” TV series. The science-fiction action centers on young Captain William Adama (Luke Pasqualino) as he battles robots in the first Cylon war. Ben Cotton and Lili Bordan also star. “On the Waterfront”: The Criterion Collection is delivering a digitally restored version of director Elia Kazan’s seminal 1954 drama about a longshoreman (Marlon Brando) forced to choose whether or not to turn against his corrupt union bosses. Karl Malden, Lee J. Cobb and Rod Steiger star. “Monsters Inc.”: Disney is re-releasing its much-loved animated film about friendly monsters that generate power for their city by scaring human children. The movie is being packaged in multiple ways, most notably as a combo pack that includes Blu-ray 3D, Blu-ray, DVD and digital copies of the feature. “The Thief of Bagdad”: High-definition Blu-ray release of the 1924 adventure film starring Douglas Fairbanks as a thief who falls in love with the daughter of the Caliph of Bagdad. “The Factory”: Direct-to-video thriller about a Buffalo, NY, detective (John Cusack) obsessed with apprehending a serial killer who is targeting prostitutes. Jennifer Carpenter also stars. Directed by Morgan O’Neil. “Atlas Shrugged II – The Strike”: Like its predecessor, “Atlas Shrugged Part I,” this cinematic adaptation of material from Ayn Rand’s 1957 novel was a box office failure. Still, filmmakers are hoping to recoup their investment with a home video release. “Swamp People” – Season 3: Twenty-two fresh episodes of the History Channel series about Louisiana residents who hunt alligators for a living. – Forrest Hartman is an independent film critic whose byline has appeared in some of the nation’s largest publications. For more of his work visit http://www.ForrestHartman.com. E-mail him at forrest@forresthartman.com.